The United States has no plan yet for any talks with North Korea in New York on the sidelines of the UN General Assembly session late this month, a State Department official was quoted as saying Sunday. The official told Radio Free Asia, a Washington-based news service, that there's no related schedule "for now." 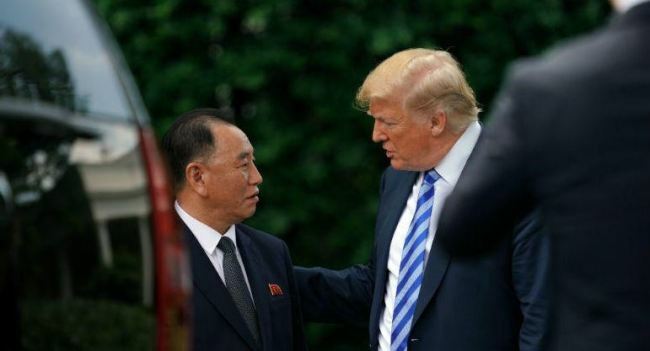 The official was responding to a question about the possibility of Secretary of State Mike Pompeo meeting Kim Yong-chol, a top North Korean communist party official, during the UN gathering. Kim is expected to lead Pyongyang's delegation to the event. Pompeo and Kim are key players in the Pyongyang-Washington engagement before and after the Singapore summit between President Donald Trump and the North's leader Kim Jong-un on June 12. Keen attention is being paid to when the two sides will resume denuclearization talks amid slower-than-expected progress in the follow-up to the summit deal. A breakthrough may come from the inter-Korean summit talks to be held in Pyongyang next week.